The coat in colorful will keep warm and cosy throughout those chilly fall months, and it’s also the perfect dog winter coat.It is designed for small dogs, suitable for daily wear for walking, outdoor, sports, etc. Small dog winter warm hoodies coat, made of flannel material, cosy and snug. You lovely pet looks cute in it. 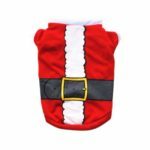 Suitable for daily wear for walking, outdoor, sports, home, travel, also a nice prop for dog photography in seasons holiday Xmas festival. 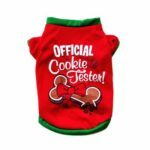 This hoodie pet costume fits for small dogs: Yorkie, Teddy, Poodle, Bichon, Bomei, Chihuahua, Keji, Bago, Deerdog, schnauzer, etc. 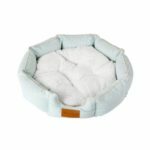 Attention that your baby pet usually wears a size S doesn’t mean all side S will fit him/her. Please check the size chart in product description’ before purchasing.